Video Bar Romeo by Maria Magdalena Campos-Pons and Neil Leonard. 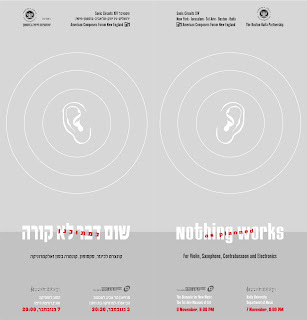 Organized by Ido Grovin and Liora Bedford (Duprass) and Interval Recordings. Last year's tour of Italy included a performance at Galleria Pack with Gadi Sasson (electroncs) and Ernesto Rodriguez (percussion). 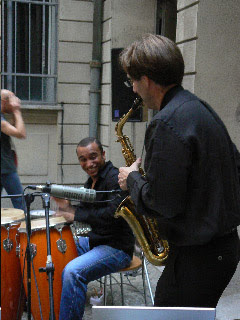 Ernesto and I played together in the band of Emiliano Salvador, a legendary Cuban pianist. 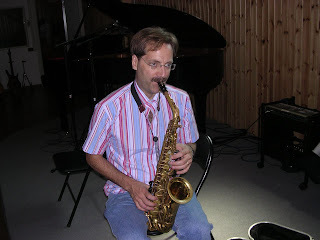 Ernesto also played on my CD Timaeus. The exhibition at Pack was Maria Magdalena Campos-Pons SONO QUI (I AM HERE), curated by Sergio Risaliti: from June 22nd through September 10th 2006. I did sound for the single channel video tape "Bar Romeo" and the installation "La Viajera." Event: Indianapolis Chamber Orchestra: Kirk Trevor, conducts the World premiere of “Dreaming of an Island” by Neil Leonard for orchestra, electronics and interactive video. Dreaming of an Island revisits ideas that I first explored in video and installations with Maria Magdalena Campos-Pons. Our collaboration contribution spans 19 years and about 9 collaborative works. 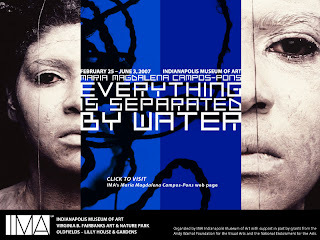 Many of these works are featured in Campos-Pons' retrospective show Everything is Separated by Water at IMA. 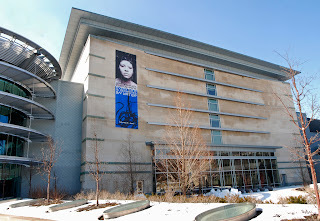 Dreaming of an Island was commissioned by the Indianapolis Museum of Art. My first works with Campos-Pons were filmscores, Rite of Initiation (1988) and Sacred Bath (1991). Since the beginning, my work with Campos-Pons has focused on the exploration of ancient cultural themes, and their impact on contemporary personal narrative. Both scores used themes from West African Yoruba music that Campos-Pons heard as a child in Cuba. My scores explored these melodies and rhythms and their connection to American pop and jazz music. (The experimental sounds of Jimi Hendrix and the Art Ensemble of Chicago were staples of my playlist at the time.) Dreaming of an Island draws on an even broader palette, but the basic goal is similar - to explore the ancient sounds as they resonate in the circles of 21st century concert music, electronic music and jazz. The video projection for Dreaming of an Island is a montage created my myself and Magdalena Campos-Pons using a software system of our own design. 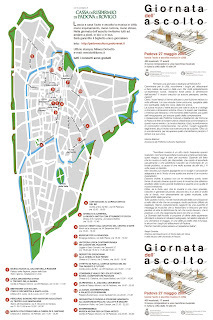 Sguardi Sonori 2007 is a festival of media and time based art featuring artists from New York, Los Angeles, Boston, Havana, Israel, Egypt and Italy presenting works is sound performance, installation, video DJ/VJing. Artists working in sound: Gary Chang, Neil Leonard, Olivia Block, Pamela Z, John Duncan, Phill Niblock, Katherine Liberovskaya, Steve Piccolo and Gak Sato, Amnon Wolman, Duprass (Ido Govrin and Liora Bedford), Patrizia Mattioli, Mauro Sambo, Ignazio Lago, CarDioTest, Fathi Hassan, Alessandro Pintus, Morena Tamborrino and Marco Benda Dj set. 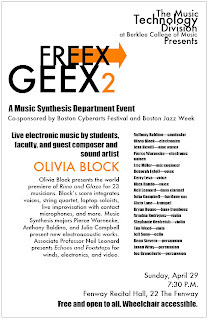 Emerging artists include recent graduates of the Music Synthesis Department del Berklee College of Music, Boston. Artists working in video: Candice Ivy, Harvey loves Harvey, James Nadeau, Jen Schmidt, Justin Beckman, Matt Gamber, Taha Belal, Carlo Fatigoni, Fathi Hassan, Alberto Magrin, Alessandro Pintus, Gianni Moretti, Marco Benda and Marilena Vita, Pierce Warnecke. Featured Exhibitions: Italian Dreams and Sognando l’Italia, works by Fathi Hassan, Maria Magdalena Campos Pons, Carrie Mae Weems, Carlo Fatigoni, Florindo Rilli, Marco Zoi, Daniele Brocchi, Alberto Magrin, Laura Troiano, Gianni Moretti. Ryan Bruce wrote an article on my work with interactive systems and my CD Timaeus. The article includes a transcription of an interview that covers my early influences in jazz and computer music. This is the last weekend for Everything is Separated by Water! Event: Everything is Separated by Water: Sound for five installations by Maria Magdalena Campos-Pons' mid-career exhibition. 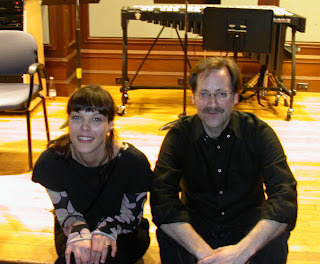 Olivia Block presents the world premiere of Rime and Glaze for 24 musicians. Block’s score integrates voices, string quartet, laptop soloists, contact mics and more. Pierce Warnecke, Anthony Baldino and Julia Campbell from Music Synthesis present new works. Associate Professor Neil Leonard presents Echoes and Footsteps for winds, electronics and video. 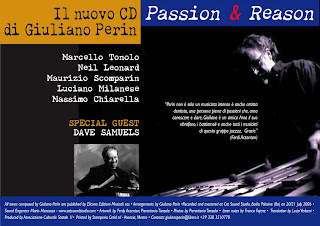 "E’ il terzo cd di Giuliano Perin e il secondo che sono chiamato a commentare dopo Into the Vibes (grazie). 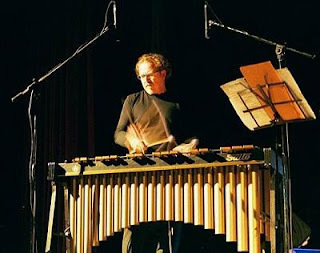 Noto subito alcune cose che mi fanno piacere: la conferma della sezione ritmica esemplare del secondo disco, la presenza del sassofonista Neil Leonard che è anche insegnante alla Berklee di Boston e soprattutto – qui scivolo sul piano personale – quella di Dave Samuels che incontrai giovanissimo (lui, non io) negli anni Settanta come virtuoso di vibrafono e marimba nel gruppo di Gerry Mulligan al quale diede, come qui, un contributo eccellente di espressività e di eleganza. Noto pure il forte attacco iniziale, arrangiato per i fiati, in medias res, del primo brano della serie, Renaissance firmato da Perin, che cattura l’ascoltatore e lo consiglia implicitamente di non perdere più la concentrazione, perché ne vale la pena. Più oltre, specie nel quinto e nell’ottavo brano, apprezzo la tromba di Maurizio Scomparin che lo stesso Perin definisce, parlandone con me, un solista sottovalutato. Condivido. La musica del disco è tutta bella, al punto che quasi dispiace indicare alcune preferenze, ma si tratta di un obbligo al quale non ci si può sottrarre. 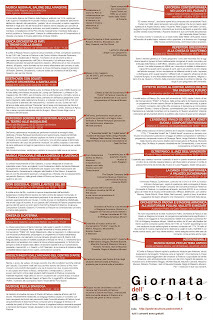 Trovo ottima l’idea di aver registrato i suoni dell’ormai infernale tangenziale di Mestre, di cui le italiche istituzioni continuano a non occuparsi, e di averli inclusi nel brano In Tangenziale, giustamente grintoso. Stupendo è il dialogo fra Samuels e Perin nella Letter to Dave, e magnifico è l’apporto di Leonard in Passion & Reason che dà il titolo all’album e nello stesso In Tangenziale, dove si impone anche Scomparin. Il cd appartiene, dalla prima all’ultima nota, a una sorta di amabile ed autobiografico hard bop rivisitato alla luce delle esperienze successive, sebbene posto accanto ai prediletti Art Blakey e Horace Silver, ma non c’è mai il benché minimo sentore di imitazione. Avevo concluso le note del primo cd di Perin con l’augurio esortativo . Perin lo ha ascoltato ed è salito più in alto. Salirà ancora e quindi mi ripeto: ad majora." The Simple Company performing Sacred Bath, Computer art Festival 2007, Teatro delle Maddalene, Padova, 5 febbraio 2007. Foto di Paolo Colombo e Gianluca Paradisi (per gentile concessione). 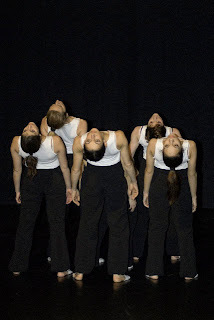 Sacred Bath from my CD Timaes was choreographed by The Simple Company and presented by Elena Borgatti in the Giornata dell'Ascolto, Padova. 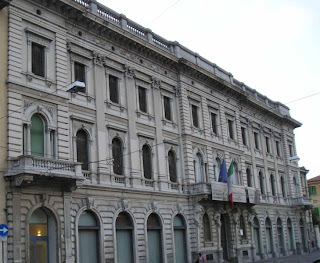 Il rinnovato PalazzoZuckermann, costruito tra il 1912 e il 1914 su incarico di Enrico Zuckermann, ospita lo spettacolo della compagnia di danza contemporanea The Simple Company del Concentus Musicus Patavinus (Università di Padova). Lo spettacolo all’aperto, dal titolo EGOS, è un continuo gioco di innesti tra la musica di Shostakovich, Milhaud, Beethoven, con Jeremy Barnes, Cécile Schott, Oliver Alden, Neil Leonard, i giochi di luce, le strutture suggestive del teatro all’aperto che intersecano i movimenti della danza. Carrying on the tradition of ACF's Sonic Circuits International Festival of Electronic Music and Art, ACF New England was proud to present an exciting new collaboration between American and Israeli composers in November and December of 2006. 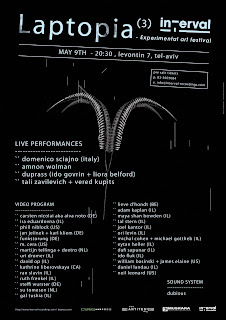 The SONIC CIRCUITS 2006 festival featured concerts and related events in four Israeli and American cities: Tel Aviv, Haifa, Boston, and New York. 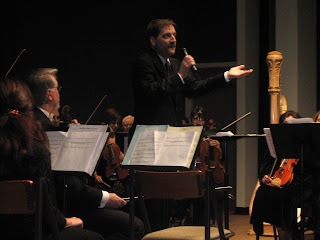 It commenced on November 3 with a concert produced in conjunction with the Tel Aviv Biennale of New Music, with subsequent events in Jerusalem and Haifa in the days following. The American events took place between November 29 and December 9 in Boston and New York. 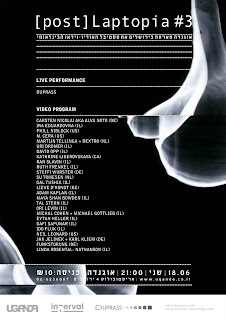 The festival featured works by composers Neil Leonard, Kiki Keren-Huss, Amnon Wolman, Arie Shapira, Dennis Miller, Jonathan Chen, Yosi Mar-Chaim, Ido Govrin, and Keren Rosenbaum, including live performances with electronics, video art, sound installation, and compositions for electroacoustic tape. 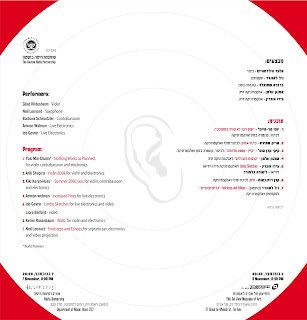 Sonic Circuits was made possible by funding from the Argosy Foundation, the Boston-Haifa Connection of the Combined Jewish Philanthropies, the Israeli Ministry of Foreign Affairs, and in-kind support from Berklee College of Music, Northeastern University, Gallery Artists Studio Projects (GASP), the Music Department of the University of Haifa, and the Tel Aviv New Music Biennale. ACFNE is also grateful to Beth Denisch, our founding Director, for her inspiration and initiative as the original architect of Sonic Circuits 2006, and to Neil Leonard and Kiki Keren-Huss for curating and producing the events.